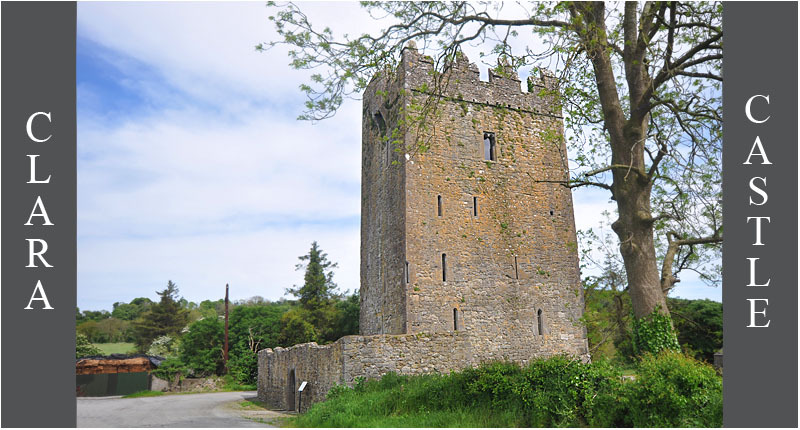 On a recent trip to Kilkenny I decided to visit the ogham stones at Churchclara and this probable 16th century tower house two kilometres north of there. This castle turned out to be a hidden gem. 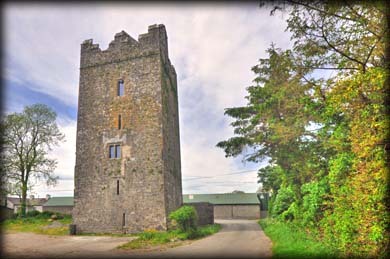 It is one of Ireland's finest tower houses. The building is remarkably complete and was occupied up until 1905. Unfortunately I was unable to gain access on my visit but have since learnt that access is by appointment only, the contact number is below. The building has five storeys with a vault above the third floor. On the northside there is a a well defended fore-court. 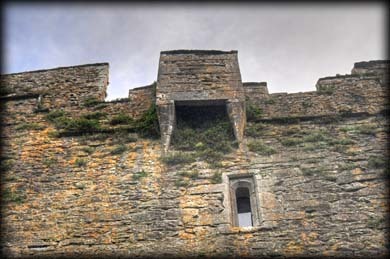 The inside of the tower was protected with a murder-hole and above the doorway is a fine machicolation, pictured below right. 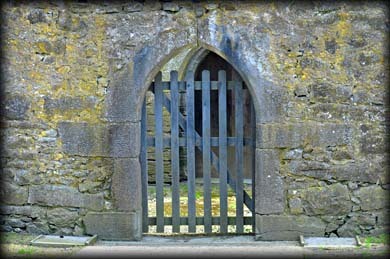 There are a large number of openings or defensive loops through which muskets could be fired at various angles. A spiral staircase gives access to the upper floors. Hopefully we will have photographs of the interior in the near future. 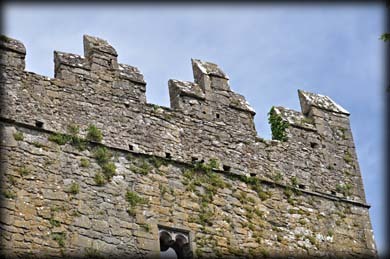 Situated: From Kilkenny take the Dublin Road (Not the N10) for 2.3 kilometres. Go through the roundabout onto the R 712 for 4.8 K then take a left turn (Not signed). At T-Junction turn right. After approx 2k turn left and then right. Discovery Map 67: S 5734 5792. Last visit May 2014.